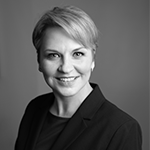 Elizabeth McCreary | Williamson, Inc.
Elizabeth McCreary is the Chief Economic Development Officer for Williamson, Inc. Elizabeth manages and directs county wide economic development strategies and leads the Economic Development Office for Williamson, Inc. Prior to assuming the role of Chief Economic Development Officer, she spent a year building the Williamson, Inc. Economic Partnership, helping to develop a five-year strategic plan for Economic Development and raising the funds to help support that plan through a new public private partnership. Elizabeth began her career in economic development with Journal Communications, Inc. where she spent over five years working with chambers of commerce and economic development organizations across the U.S. to build both print publications and online marketing platforms. In 2010, she joined the Maury Alliance as Director of Economic Development where she assisted in the recruitment of multiple companies which brought over $60M in capital investments and over 1,500 new jobs. Elizabeth serves on the board of directors for the TMA Group and the executive committee for Special Olympics of Tennessee. She is also a volunteer with TN Achieves and the WCS Ambassadors program.